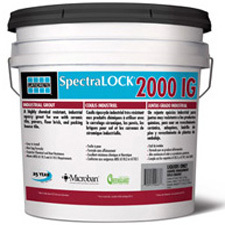 Laticrete SPECTRALOCK 2000 IG Commercial Unit / 3.2 gal. Epoxy grout for tiles is a good adhesive to use in tile installation when you’re looking for something that is incredibly sticky and permanent. It’s ideal for when you’re installing outdoor tiled spaces. Swimming pools, hot tubs, outdoor showers, patios, and outdoor barbecues are most securely installed with waterproof epoxy grout, because these areas come into contact with moisture very frequently and will remain secure and intact with epoxy adhesive. 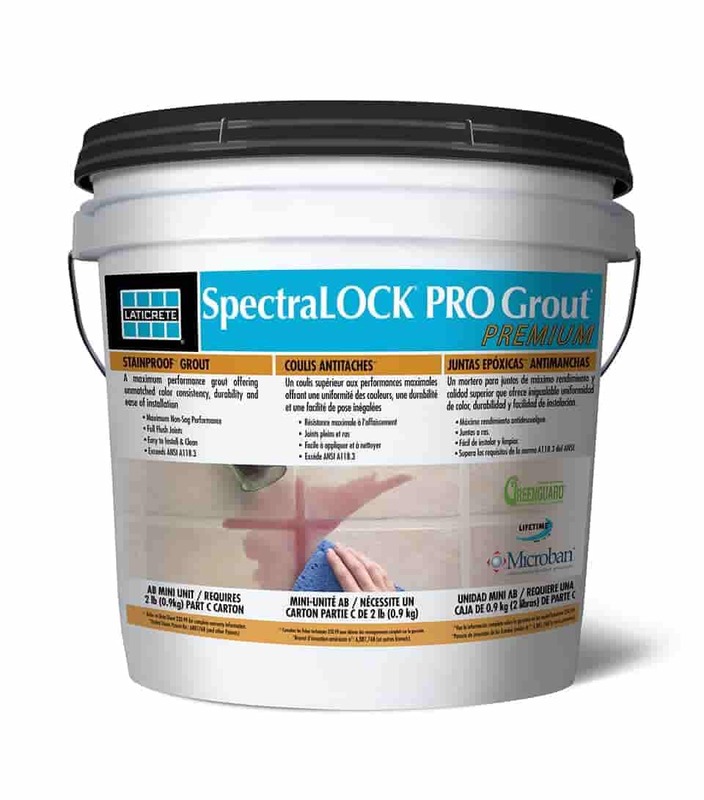 Lacticrete SpectraLock Pro Premium Grout has very high stain resistance, making it ideal for interior kitchen applications. At Tile Pro Depot, we carry a variety of non-shrink epoxy grout, including Laticrete epoxy grout and Spectralock epoxy grout. We also carry Laticrete Spectralock epoxy grout powder in 36 different color options, so you can easily cater to your client’s style preferences when it comes to their epoxy grout colors. If you’re installing more sensitive materials like marble, agglomerate, or resin backed tiles, we recommend Latapoxy 300 adhesive. It’s high strength and will prevent tiles from curling. This is also a great product for installing mosaics, as your design will stay in place and you won’t have to worry about shifting while you work. Apart from the great durability and strength of epoxy grouts, another wonderful selling point is that cleaning epoxy grout is incredibly easy, making it low maintenance for your customers. The epoxy adhesives we carry are virtually stain-proof because they aren’t porous like their cementitious counterparts, ensuring their longevity and beauty. When you’re considering epoxy grout for tiles for your next installation, Tile Pro Depot has everything you need. We have a variety of epoxy grouts, as well as a great assortment of the various tools you’ll need for the job, like tile cutters, trowels, grout floats, tile spacers, and sponges.